Compilation CD released in 2002 by Starbuck Coffee's on-line music magazine Hear Music. Their "Artists Choice" series offer compilations hand-picked by artists with established credibility (e.g. Yo-Yo Ma and Ray Charles). 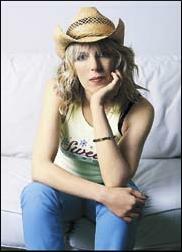 The songs picked by veteran country singer/ songwriter Lucinda Williams includes The Band's ballad "It Makes No Difference" from Northern Lights - Southern Cross as the opening track. In the liner notes, Williams says: "This is just a great song. The melody, the harmonizing, the lyrics. It's real organic. What can you say about The Band? They had a great thing. They wrote great songs, and you always know it's The Band." 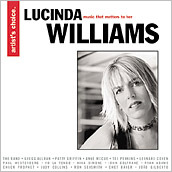 Various Artists - Lucinda Williams - Artist's Choice - 2002 - Starbucks Corp.